Launched in 1984 for the man who is bold and passionate, Tuscany Per Uomo is a sensual fragrance that embodies Italian style and artistry. The bright diffusion of Citrus with a touch of Lavender fused together with aromatic accords and precious woods brings the magic of the Mediterranean to life. I have been using this Aramis Tuscany Per Uomo Eau de Toilette since the eighties, always get asked by the ladies what I am wearing as it smells so good. Lasts all day - I have used most fragrances including all the Chanels (which I still use) but none last as long or give such a good impression. Love it!! Only downside, the balm is really hard to find and again is the best balm of them all. For me, this Tuscany Per Uomo Eau de Toilette smelt a little dated. That's not to say that this wouldn't be suitable for other people, everybody has different taste when it comes to fragrances! Excellent scent at an excellent price. Quick delivery, so doesn't get much better than that. Have used the same cologne from Aramis for years and find that Mankind is cheapest for what is often a very expensive item! 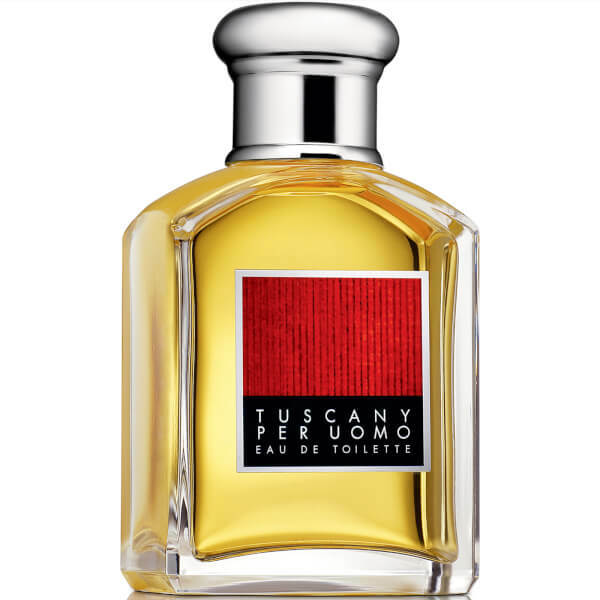 This Tuscany Per Uomo Eau de Toilette is fresh, zesty, awakening and youthful whilst still being very mature. I have used Tuscany Per Uomo Eau de Toilette for so long now and always satisfied! I'm really pleased with Tuscany Per Uomo Eau de Toilette. I was happily surprised by the size of the bottle, as it is almost twice the size of the last one I bought at a higher price. Almost purchased the product in a city center and was delighted to receive the same product delivered to my home at a very competitive price. Thanks a lot mankind! This is the tops on my list nothing comes close.When i put it on i find people ask what it is.